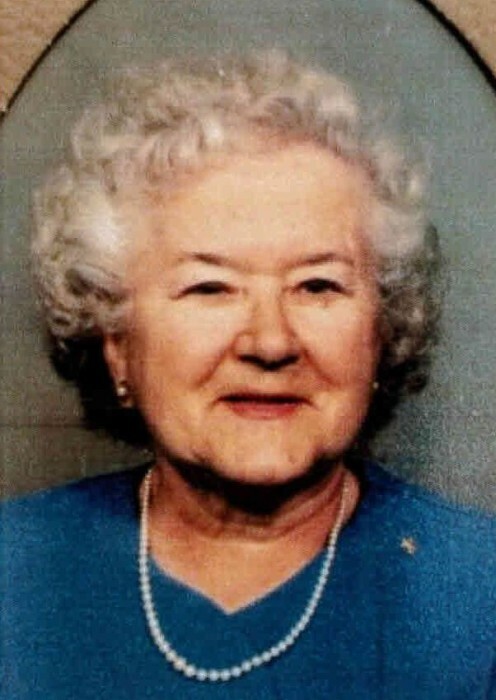 Obituary for Elizabeth N. (Dutter) Hymes | Milkins Giles Funeral Home Inc.
Elizabeth N. Hymes, 92, formerly of Temple, passed away Sunday, March 24th in Keystone Villa at Fleetwood. Elizabeth was married to the late Charles L. Hymes who passed away March 28, 1989. Born in Pottsville, she was the daughter of the late Wilbert Dutter and Bessie (Hancock) Dutter. Elizabeth was a member of Faith Evangelical Congregational Church in Temple. Elizabeth was formerly employed in the shoe department for Boscov’s Department Store. Elizabeth enjoyed bowling and knitting. Survivors include three children, Charles L. Hymes and wife Stephanie Hymes of Rockvale, Colorado, Robert M. Hymes and wife Denise Hymes of Leesport, and Linda C. Jacoby and husband Dave Jacoby of Warren, Maine. There are nine grandchildren, Steven and Megan Jacoby, Jason Hymes, Rebekah Wendt, Chief Petty Officer Benjamin Hymes, Joshua Hymes, Alexis Manfred, Jill Barlow, and Dr. John Guers. There are eighteen Great Grandchildren. Elizabeth is predeceased by a grandson, Matthew Jacoby, a brother, Lt. Colonial Wilbert Dutter, and a sister, Shirley Hassler. A funeral service will be held on Friday, March 29th at 10:30 am in the Milkins Giles Funeral Home, Inc., 4914 Kutztown Rd., Temple with Pastor Brett Kindig officiating. A viewing will be held on Friday morning one hour prior to the service in the funeral home. Interment will follow in Mt. Laurel Cemetery in Pottsville.